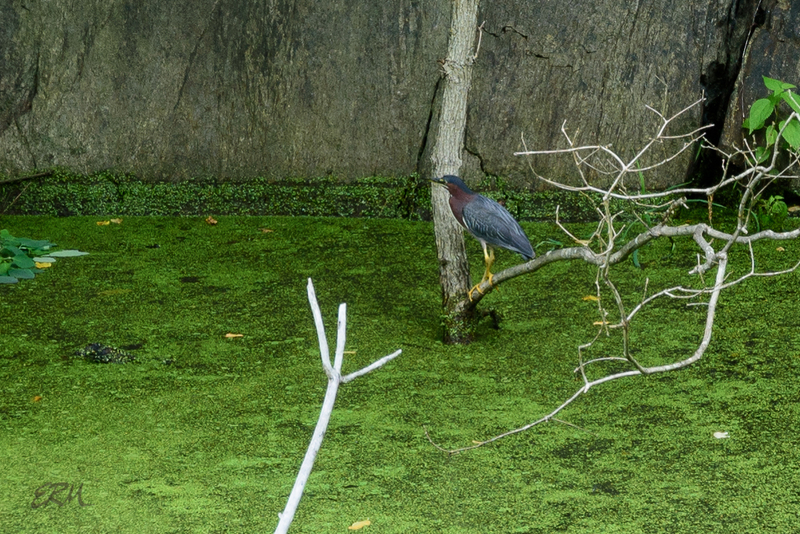 Green heron (Butorides virescens). Picture taken with 24-70mm lens. I bought a 70-200mm lens a week later. But no matter how long a lens you get, it’s never enough. Look at all the algae on the canal! 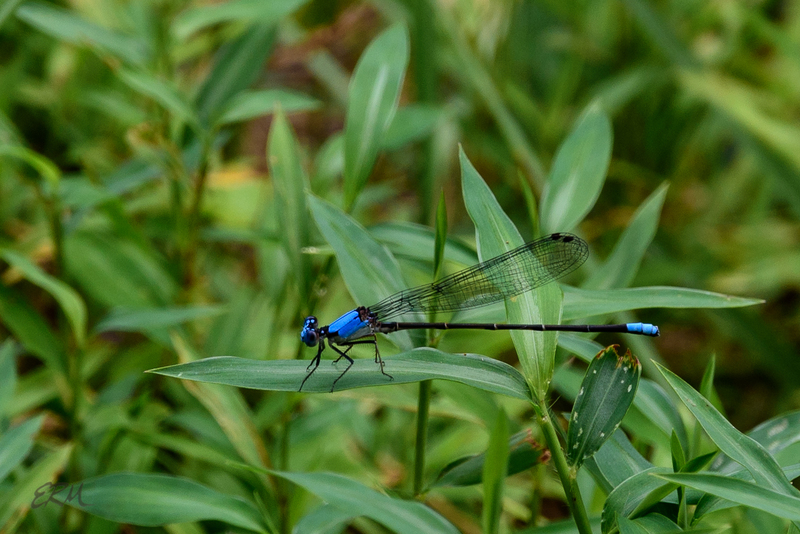 Damselfly. I’m not sure which species. Not even sure which family. 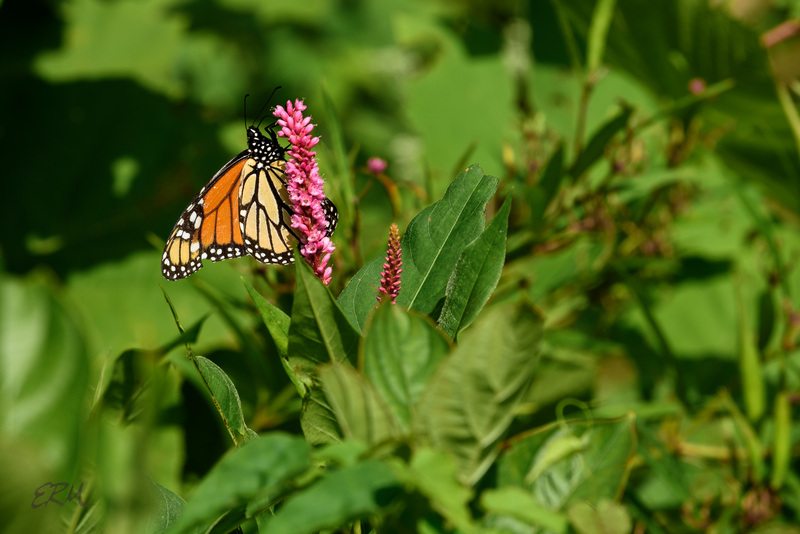 Monarch butterfly (Danaus plexippus) on a smartweed (Persicaria, species to be determined). 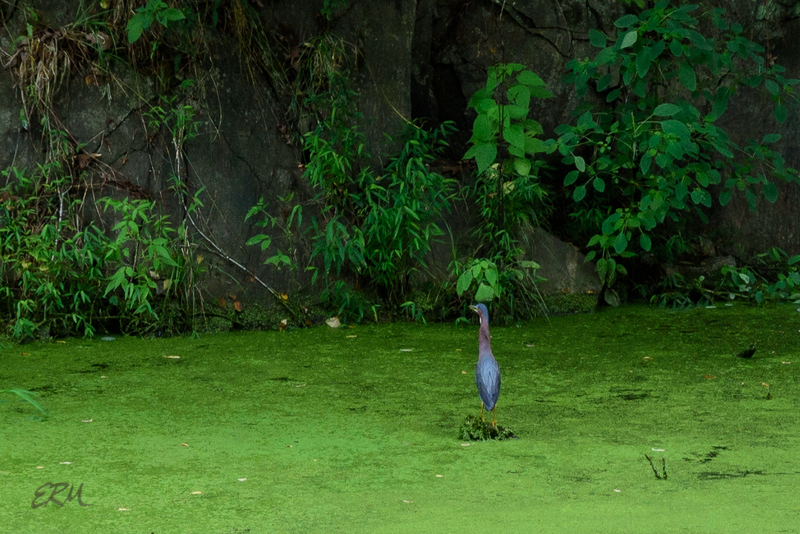 This entry was posted in Uncategorized and tagged birds, butterflies, C&O Canal, damselflies, herons by elizabeth. Bookmark the permalink.